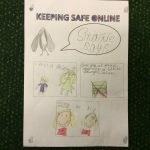 This week the children have been learning all about Internet Safety and how to be SMART safe online. 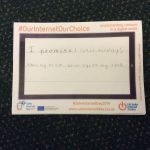 We have been making #StAndrewsOurInternetOurChoice pledges, creating amazing Stay Safe posters, drama and filming videos of ways to stay safe! Here are some videos of the children sharing their Online Safety Messages. Please take a look! This entry was posted in Emma, School, Year 1, Year 2, Year 3, Year 4 Rainbows, Year 4 Sunshines, Year 5, Year 6. Bookmark the permalink.